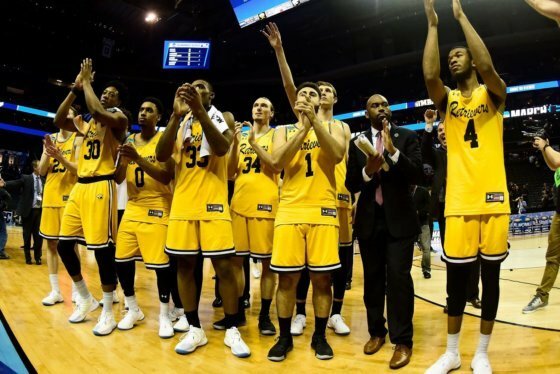 As basketball season returns to UMBC, the history-making underdogs are trying to get back to business as usual without ever forgetting what they achieved last March. CATONSVILLE, Md. — As a graduate senior and one of the more notable returning faces of the UMBC Retrievers basketball team, Joe Sherburne was the designated student at the recent Baltimore Basketball Media Day, held on his home floor. Sherburne’s a fitting representative — grounded, experienced, a guy who knew what the program was like before the greatest upset in the history of college basketball. So, Joe, are things different now? Are there lots of new faces sticking microphones in your face that weren’t here before? When addressing the historic upset, both Sherburne and head coach Ryan Odom would only speak of it in vague terms. Nobody would say “Virginia,” or “16 over 1.” It’s the moment everyone knows you’re here to ask about; as such it’s never actually called by name. 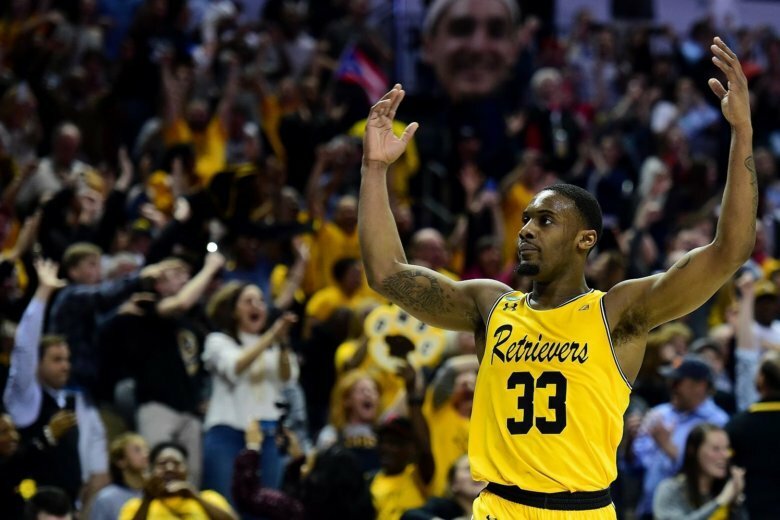 The more you learn about UMBC, the more you understand why the school might have been the only one not surprised by its history-making upset this March. But it’s why I’m here, to see what’s changed since March. Surely it’s why UMBC was asked to host this very event, in its second year now, after starting at Towson last season. So how have things changed? OK, sure, but are things back to normal? Does normal even exist anymore? Is it possible, after achieving the singular upset in the history of college basketball, for things ever to be normal again? That new normal means appreciating the history with which the four letters across the front of your jersey will always be synonymous, while understanding that they also now serve as a bull’s-eye for any and every opponent. There have been benefits, some more obvious than others. There was a time in college basketball that, coming off what UMBC did last year, no power conference school would want any piece of them. Why risk an embarrassing loss against a mid-major when trying to pad your pre-conference play win total? But with the emphasis on bolstering strength of schedule in 2018, the upset over Virginia meant the phone actually rang with more offers this offseason. That’s how their opener at Marquette — a nationally televised tilt next Tuesday — came about. It landed a trip to play Penn State just after Christmas. Of course, that doesn’t mean the big boys are coming to the hilltop anytime soon. UMBC’s splash onto the national scene hasn’t meant an influx of highly-touted recruits. But it’s made the process easier, opened doors that may have previously been shut. That’s not to say they haven’t reloaded after losing Jairus Lyles and K.J. Maura. Providence transfer Ricky Council II sat out last year, but will be an immediate contributor. Another K.J. — junior college transfer K.J. Jackson — set the school scoring record at Temple College (Texas). And freshman Jose Placer is fresh off a stint as captain of Team Puerto Rico in the FIBA U18 Americas Championships. With Sherburne, Arkel Lamar, Nolan Gerrity and others back, the expectations remain high for another March appearance. That will be UMBC’s burden this year — to be more than the game that put them on the map. “We’re always going to have that moment. I don’t want our guys — the ones that were on the team at the time — to shy away from that,” said Odom.